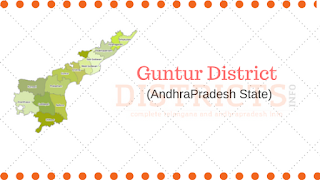 Guntur District Tourist Places: Guntur is not only a major district in Andhra Pradesh but is also is a famous tourist destination with many temples and historical buildings. 1)Kotappakonda is in the Narasaraopet constituency. It is located at a distance of 15 kilometers from Narasaraopet and is 60 kilometers away from district headquarters. Lord Shiva here is called Dakshinamurthy. 2)Haai Land is a Buddhism Theme park and is one of the Guntur district tourist places. It is located between Mangalagiri and Guntur and spread over 40 acres. There are constructions that represent the cultures of different countries such as China, Cambodia, Thailand, Tibet, Burma, Indonesia, and Japan. There are food courts, shopping malls, and resorts. 3)Undavalli caves, the world popular caves are located in Undavalli village in Tadepalli Mandal. These historical caves date back to 2 nd and 3 rd AC. It is believed that Vishukudina king Govindaraja Varma built these for Buddhist monks. The Anantasayana Sri Mahavishnu temple in these caves is very beautiful. 4)Bhavani Island is spread in Krishna River on the borders of Guntur and Krishna districts. AC cottages and tree cottages are available for tourists. 5)Nagarjuna Sagar dam is at a distance of 25 kilometers from Macherla. 6)Amaravati is the first in the five Pancharamas and the deity here is called Amareswara. This is at a distance of 35 kilometers from Guntur. Accommodation is available for devotees. Dhyana Buddha project is being built here. There is also an archeological museum and many ancient temples in this small village.